Lakepoint & Lake Forest Condominium Towers - Strasman Architects Inc. 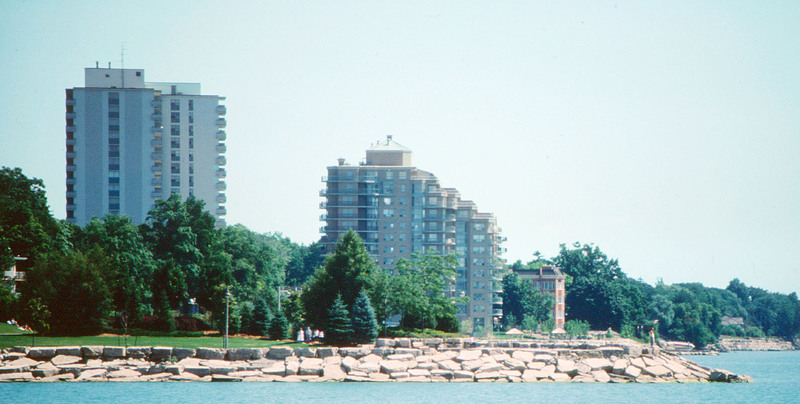 These two Towers on Burlington Bay minutes from downtown Burlington were developed by West End Developments for whom we had worked for in the past. 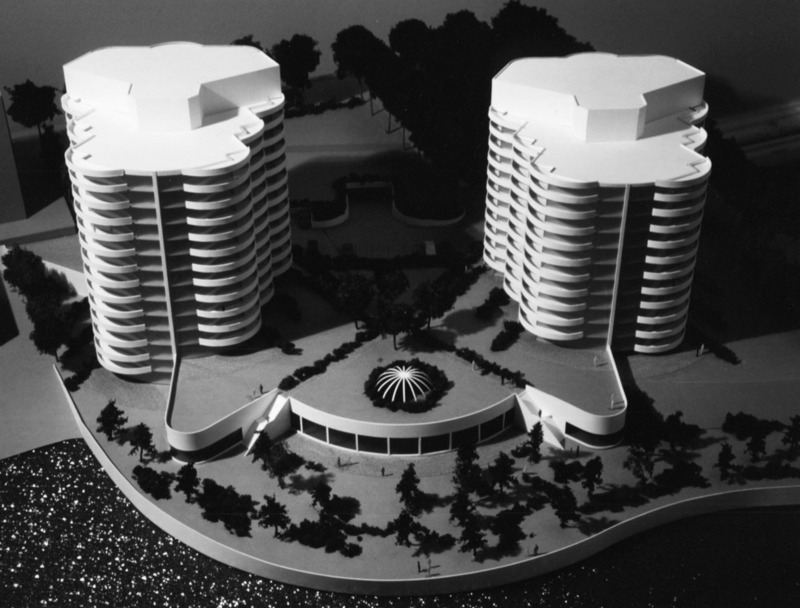 The initial concept was for two very unconventional curvilinear towers; one 12 and 14 floors high and the other 11 and 12 floors high on a podium containing the common and recreation facilities as well as the parking. The client opted, in the end, for a more traditional approach and this resulted in two very separate and distinct towers. 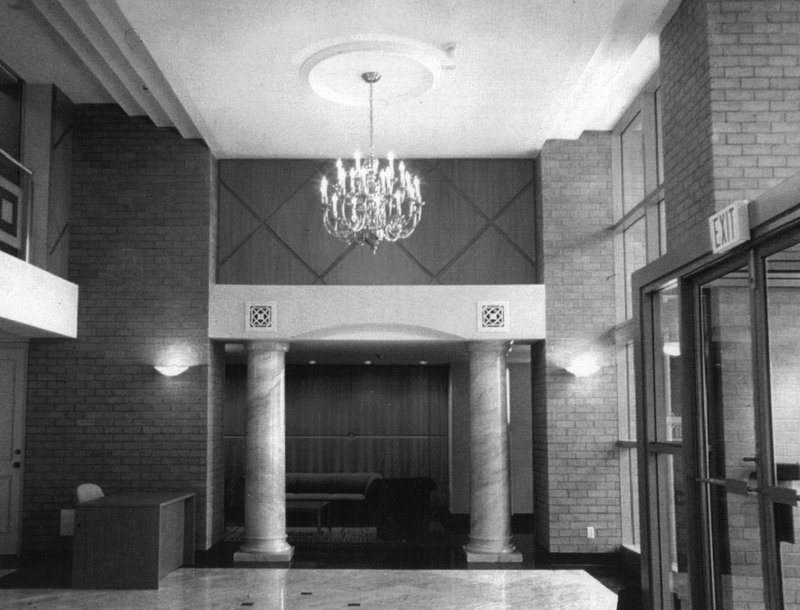 The Lakeforest Tower is very rectilinear with few frills but generous balconies and all suites having a view of the water. 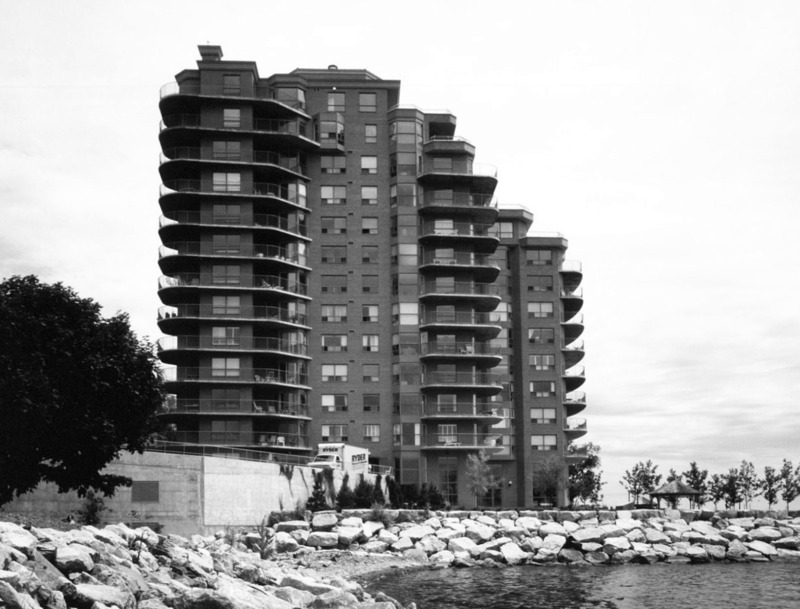 Lake Point Tower on the other hand was appealing to a slightly upscale market with more frills, amenities, larger balconies and terraced suites on the water side. 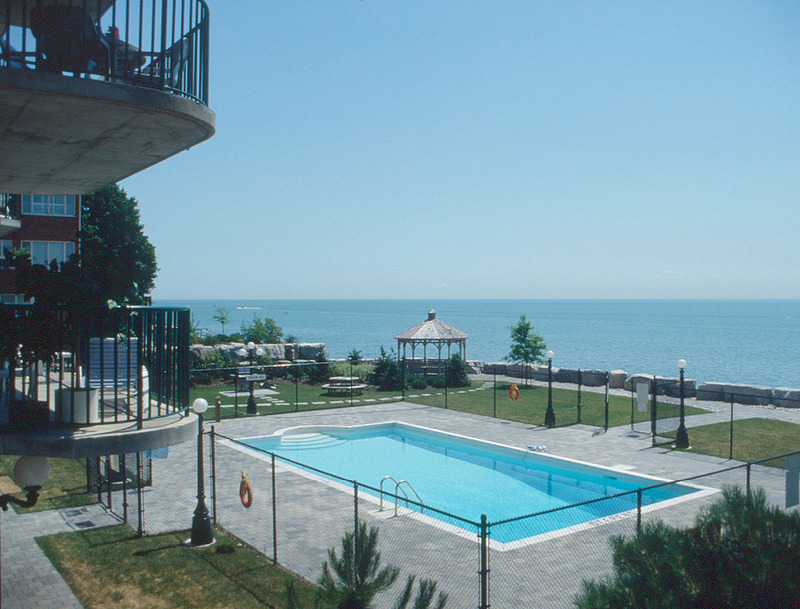 Like the Sherobee rental apartment tower in Mississauga, Al Wandich, the client insisted on suite layouts that were spacious, took advantage of the views, with ample storage, areas such as a breakfast area and a shower you could stand up in for each suite. 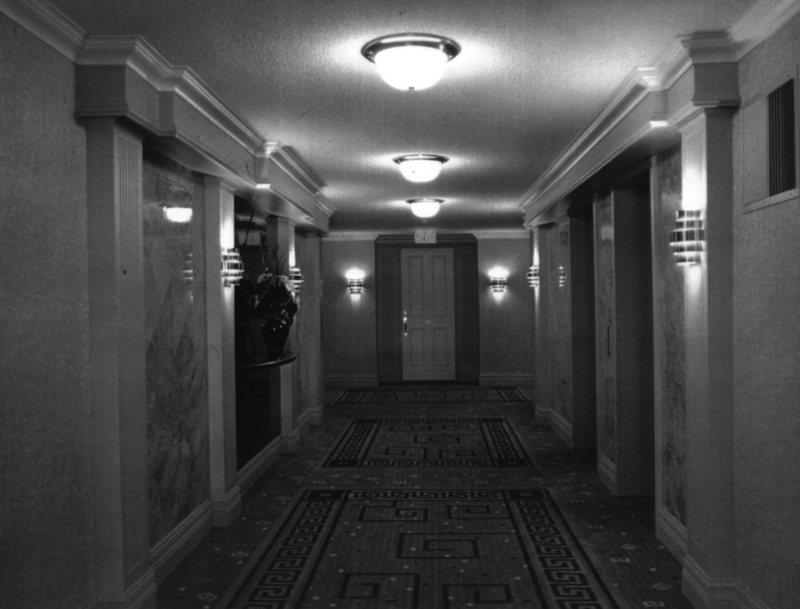 As a result of the effort put into the design of each suite and each building, both buildings sold out within hours of initial release.